Newcastle United manager Rafael Benitez has called on the authorities to introduce VAR 'right now' after he his side were on the wrong side of two key refereeing decisions in Sunday's 2-1 home defeat to Wolves. The Magpies fell to their seventh home Premier League defeat this season but Benitez's comments after the final whistle focussed solely around two key decisions in the match, that he felt cost his side greatly. Speaking post-match, as quoted by ​Sky Sports, he said: "We need VAR right now. So if you see the incidents today. It's so obvious - the red card and the elbow in the face of Ayoze Perez. We need the VAR right now." Wolves went in front in the match through Diogo Jota's volley, after the Newcastle backline had switched off. Their lead didn't last long, though, as Ayoze Perez deservedly drew Newcastle level from Salomon Rondon's cross as they went into the break on level terms. The first moment of controversy came in the 57th minute as DeAndre Yedlin was shown red for hauling down Jota when the Portuguese winger was clean through on goal. 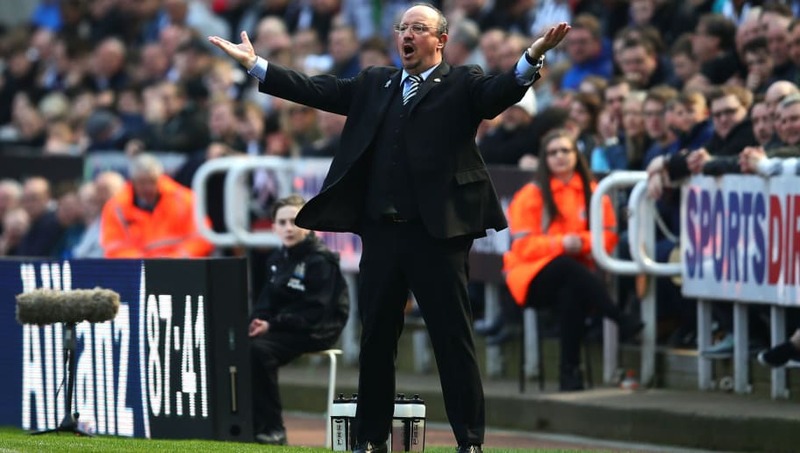 "The ball was far away and he was close enough to see it was not a clear chance," claimed Benitez. "He [Jota] was pulling him and he [Yedlin] was pulling him - but I don't want to talk about that as it's so obvious. I think the team was doing well enough to win the game - it's very difficult in these situations." Furthermore, the Newcastle boss, already seething at the red card, claimed his side should have had a penalty with the score at 1-1, as Willy Boly threw an elbow into the face of Perez shortly after. Benitez's misery was compounded as Matt Doherty struck in the 94th minute to seal all three points for the visitors. Benitez refused to comment on the challenge from Boly, but implied that referee Mike Dean had clearly made a mistake. "I don't want to talk about the referees as it's wrong - but it's so clear from the pictures," he went on to say. "It's a pity as you have a city behind the team, these situations can kill your confidence. I will not talk about that - it's so obvious everyone can see."